Heyyyyyyyyyyyyyyyyyyyyyyyyyyyyyyyy. It's Bastille Day Time A-Coming. Big big show planned this year. Friday night, July 15 at T.T. The Bear's Place (10 Brookline Ave, Cambridge MA). 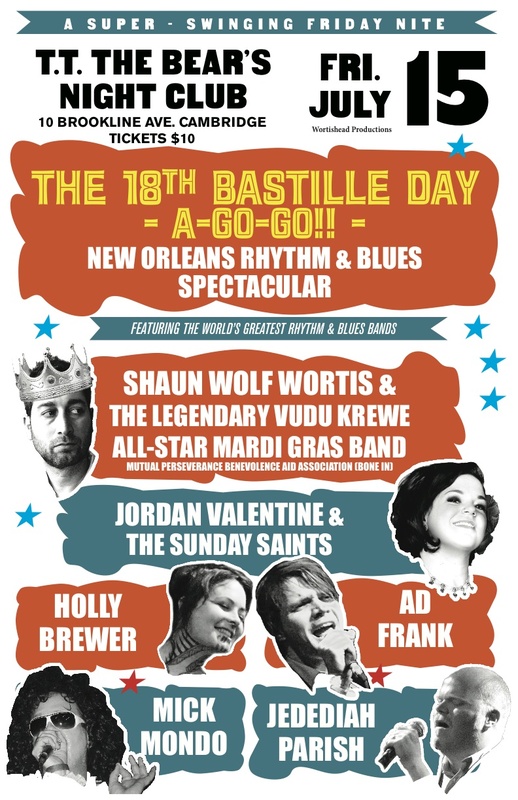 We have a special format this year, as we're gonna attempt to do an old-time R&B revue with our buddies Jordan Valentine & the Sunday Saints. Special guests Holly Brewer (HUMANWINE), Jed Parish, Ad Frank, and a rare appearance by Mick Mondo!